Are you or someone in your family interested in getting a straighter smile with Invisalign? 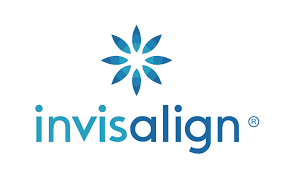 We have been a proud Invisalign provider since 2006 – so we definitely know a thing or two about it! Sure, there are other options out there for straightening your teeth, but none offers the level of comfort, convenience and confidence that you’ll find with Invisalign. Invisalign straightens your teeth using a custom-made series of aligners created just for you. These aligner trays are made of smooth, comfortable and virtually invisible plastic that you wear over your teeth which will gradually and gently shift your teeth into place. There are no metal brackets to attach and no wires to tighten – you just pop in a new set of aligners approximately every two weeks until your treatment is complete. With regular braces, you may experience some or all of the following: pain, discomfort, mouth sores or injuries caused by the brace wires, tooth decay (from inadequate brushing and flossing), plaque buildup, tooth discoloration, tooth/bracket breakage, or difficulty eating. You also have limitations with the food you can eat, which means no popcorn, apples or corn on the cob, just to name a few. The cost of Invisalign treatment is comparable to the cost of metal braces, but only your doctor can determine the actual cost based on your specific needs and will work with you to customize your individual plan. While the results may appear the same, when you stop and actually compare Invisalign to other teeth-straightening options, the advantages become quite clear. Knowing the pros and cons of each option ahead of time will help you make a more confident decision. The benefits of straight teeth go far beyond a confident smile, such as healthier teeth and gums and easier cleaning. Schedule your free consultation with us today!